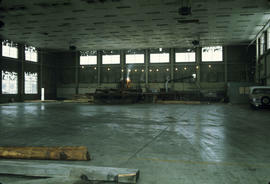 Item is a photograph showing Cliff, trestle builder, instructing Mark Osburn in Hangar 5/Plenary Hall. 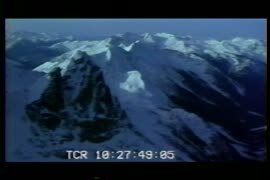 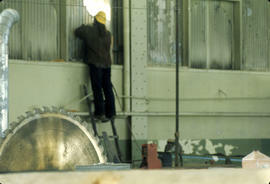 Cliff would climb up on high beams without helmet or rope, to do joints. 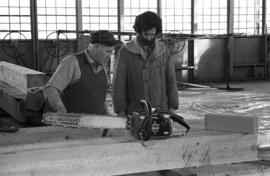 Item is a photograph showing Claude Biggs (sawyer) and Al Edwards. 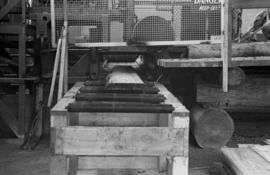 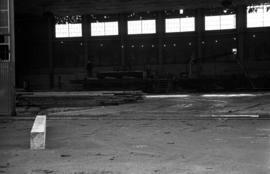 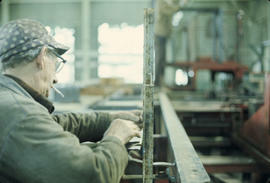 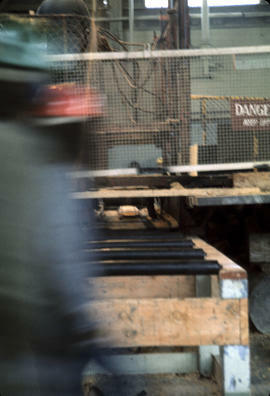 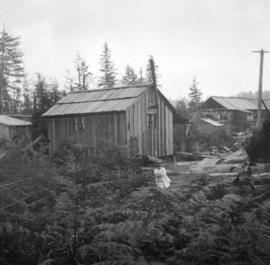 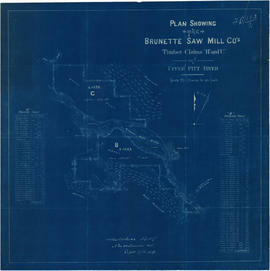 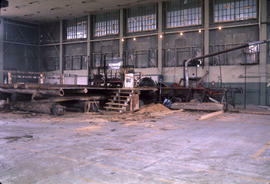 Item is a photograph showing Claude Biggs (sawyer) in Hangar 3 with sawmill. 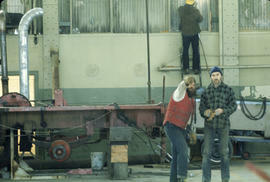 Item is a photograph showing Claude Biggs, Al Clapp and Terry Loychuk. 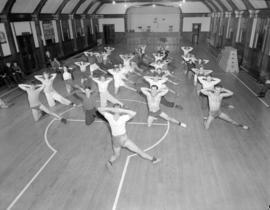 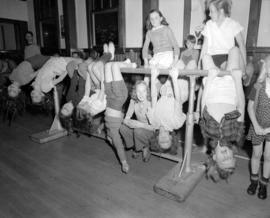 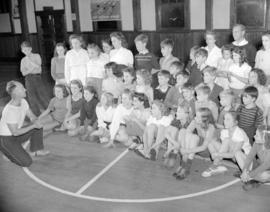 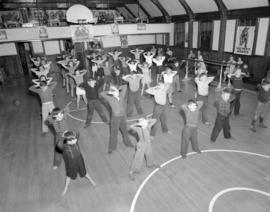 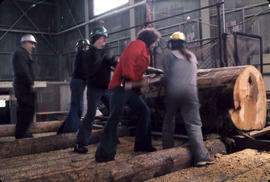 Item is a photograph showing Terry Loychuk (in red). 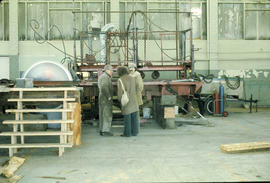 item is a photograph showing Claude Biggs and his Hangar 3 crew. 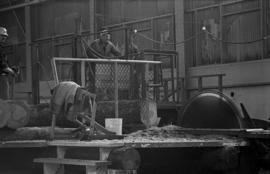 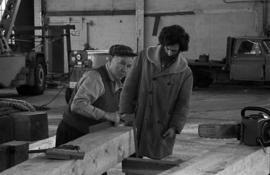 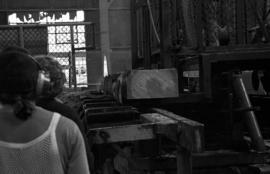 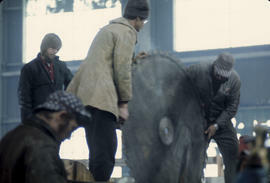 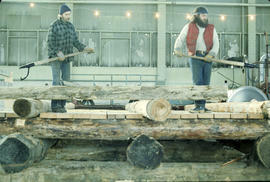 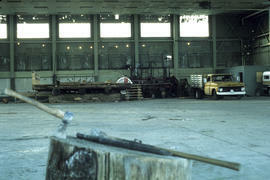 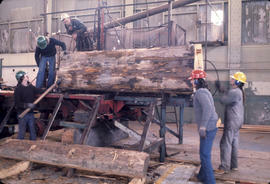 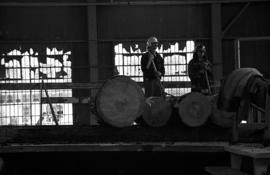 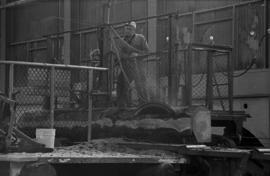 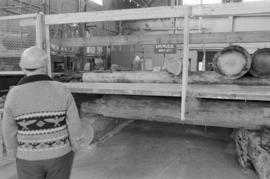 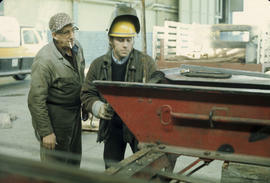 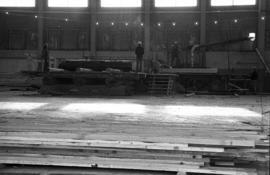 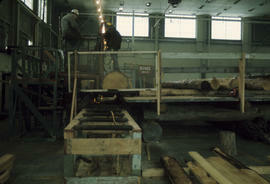 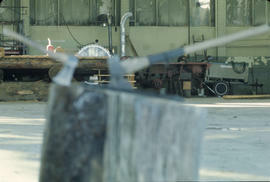 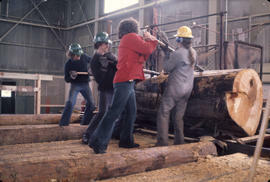 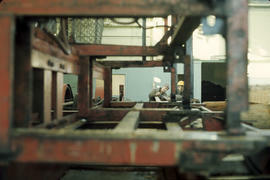 Item is a photograph showing Doug Lotoski, Eric Thompson, Patrick Ready and Claude Biggs setting up sawmill in Hangar 3. 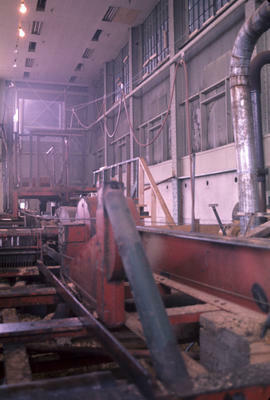 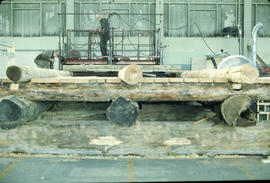 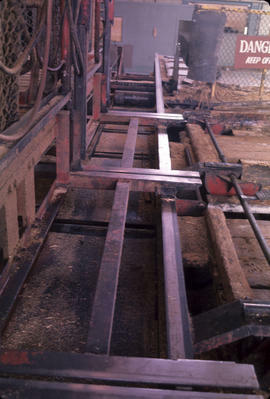 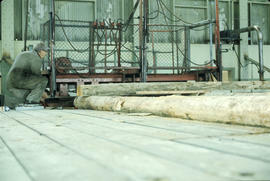 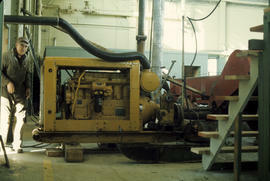 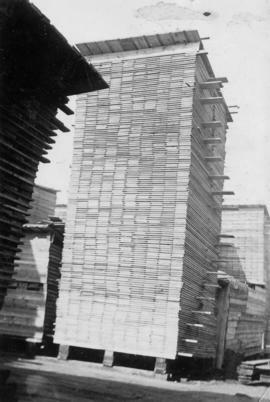 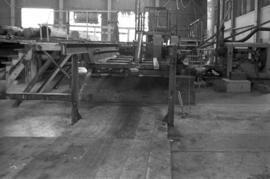 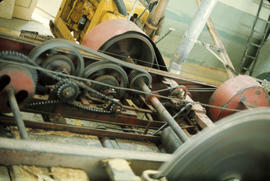 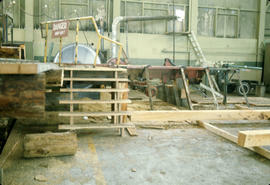 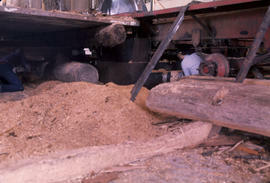 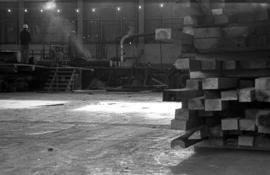 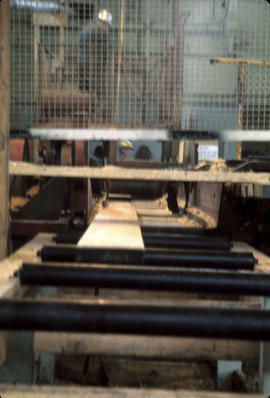 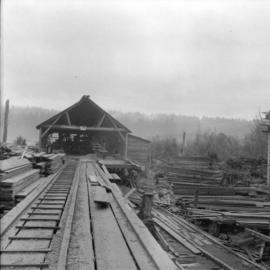 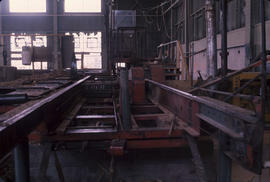 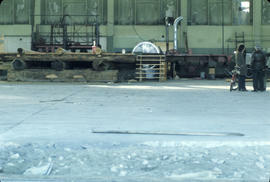 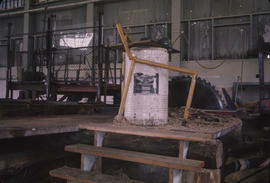 Item is a photograph showing the set up of log deck for portable sawmill in Hangar 3.